"It's not been the most straightforward of weekends but what a fantastic result for the team. Everyone has worked so hard," said Hamilton, as he celebrated his 75th career win and second in a row. "We didn't know where we would stand with the Ferraris, they were so quick in the last race. "Valtteri was quick all weekend, he did a great job today, and to have a one-two together is really special on the 1000th GP." 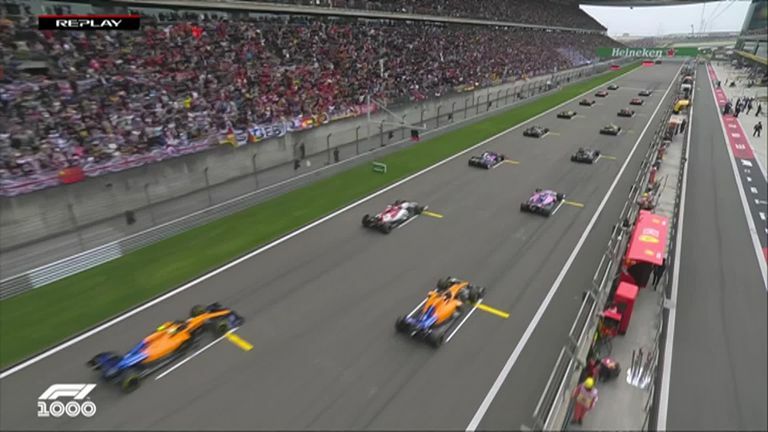 Mercedes' Lewis Hamilton won the Chinese GP to take the lead of the world championship ahead of Valtteri Bottas. "The start was where I was able to make the difference," admitted Hamilton. "After that it's kind of history." 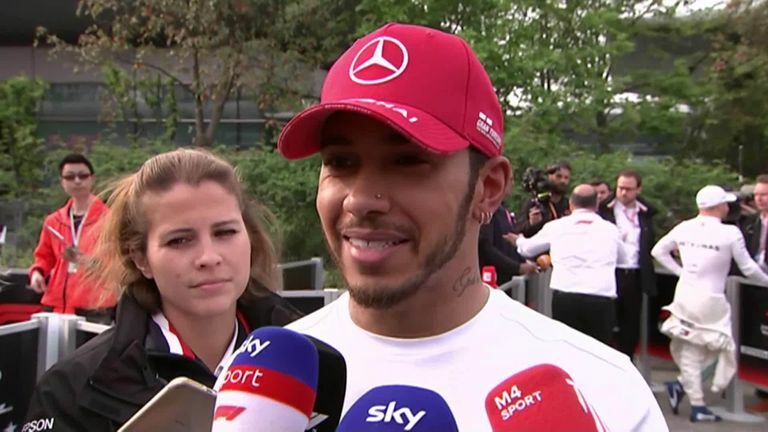 Speaking to Sky Sports F1, Hamilton said: "Considering it was a real struggle this weekend I'm really grateful for the result. The team worked so hard. "I was just happy I was able to move forwards and make improvements in areas. It doesn't matter if you're not perfect, just as long as you make improvements, which I did." He added: "The work doesn't stop. We still have 18 races to go and a lot of work to do." Although Mercedes also finished first and second at the previous race in Bahrain, the result clouded the scale of Ferrari's speed advantage throughout that weekend when their straight-line speed power stood out. Mercedes were thereafter fearful about Shanghai, which features the season's second-longest straight, would hold but it was the world champions' downforce strengths which ultimately told when it mattered most. Mercedes boss Toto Wolff told Sky F1: "It took us by surprise, even pace on the Friday we didn't think it was possible to control it in that way. I'm very proud and very happy for the team. "Their power is superior on the straight. Our car is maybe a bit draggier than theirs so on the power we need to leave no stone unturned. But in terms of managing tyres, downforce helps. "You'd rather get out fast than not run behind. We have some good stuff coming on the cars, we believe the development direction is right. "It's a very special win and it feels special." Hamilton added: "There are still so many races where their car will perhaps outshine ours. "Definitely three one-twos, I think it's a little bit above what… I think we're over-delivering a little bit at the moment to our true true potential but there's still more to come." Sebastian Vettel, meanwhile, was a distant third for Ferrari, 14 seconds off Hamilton, and admitted: "Mercedes were very, very strong, similar to Australia, so I'm not sure we could have stopped them this weekend."